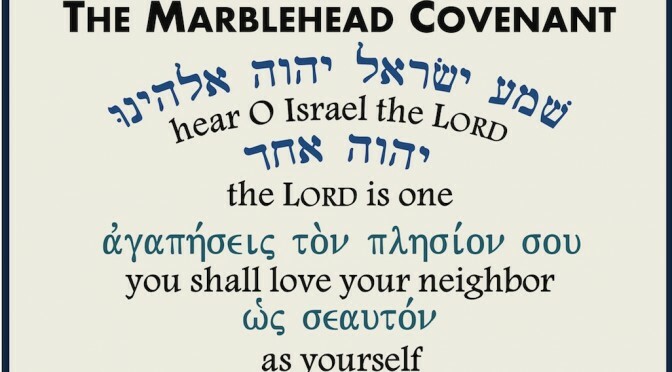 On Sunday, May 4th at 5:00 p.m. St. Michael’s Episcopal Church will receive the Marblehead Ministerial Association’s Covenant from Grace Community Church during a special Evensong service at the 26 Pleasant Street church. People of all faiths are invited to attend, joining the congregations of the Ministerial association to observe the 25th anniversary of the creation of the Covenant which originated in response to a widely publicized incident of vandalism and desecration at Temple Emanu-El and at Marblehead’s Jewish Community Center. Since 1989 the Covenant has resided, on a rotating basis, in each of the houses of worship comprising the 13-member Marblehead Ministerial Association. All are welcome to the May 4th service. Refreshments will be served. In 1989, the desecration of Temple Emanu-El and the Marblehead Jewish Community Center was a watershed moment for the entire community, as the stunning expression of hatred could not be ignored. The Marblehead Ministerial Association Covenant was written and signed as a pledge of honor by the houses of worship in the community to uphold the U.S. Constitution and freedom of worship and to stand united as communities of faith in opposition to all forms of bigotry, racism, and intolerance. The Association’s 13-member organizations include the congregations and leaders of Marblehead’s religious denominations and also the Marblehead Counseling Center. Every year, the framed Covenant documents are passed from one congregation to another, symbolizing and re-affirming the Association’s purpose. As is customary, the Covenant Service takes place within the context of a worship service typically conducted by the hosting congregation. Receiving the covenant in 2014 is especially important to St. Michael’s. Founded in 1714, the church is celebrating its 300th anniversary this year. 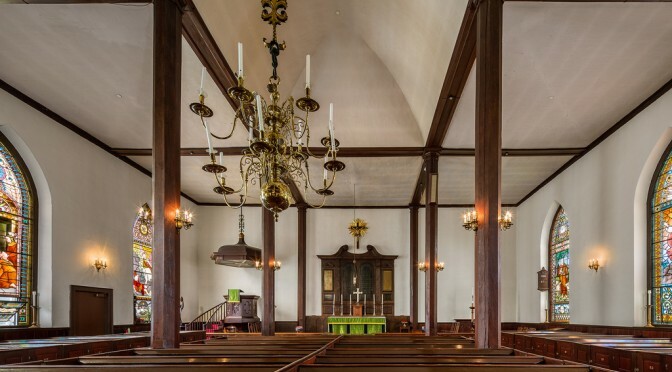 The 2014 annual meeting of the Parish Historians Society of the Episcopal Diocese of Massachusetts (PHS) will be held on May 10, 9:30am to 3:00pm in Massachusetts’ oldest Episcopal church building, erected 1714. We will review three centuries of change in architecture, liturgy and music, century by century with an afternoon workshop and “documents roadshow” led by Frances Harrell of the Northeast Document Conservation Center (NEDCC). The Rev. Andrew Stoessel, Rector, Architect Edward Nilsson and Mark Edward Nelson, Music Director of St. John’s Gloucester, will present the overview with demonstrations of the C. B. Fisk Organ, Opus 69. Robert L. Howie, Jr., Parish Historian Emeritus and former diocesan Registrar-Historiographer, will provide us a tour of St. Michael’s Archives Room, built in 1983 with its early 18th century records conserved by the NEDCC using various special techniques. “Antiques Document Roadshow”—Frances Harrell of the Northeast Document Conservation Center will present an overview of preserving parish records and professional conservation techniques. There will be time for questions, and participants are encouraged to bring items—stable enough for travel—for discussion of care and handling. All are invited to attend—Parish historians, parish administrators, music directors, choir members, church neighbors and others interested in the history of Massachusetts Episcopal churches and their preservation. The fee of $20 includes lunch. The registration form is in the PHS Spring 2014 Newsletter at the Diocese of Massachusetts website.